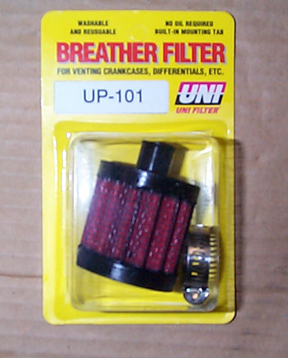 Uni breathers are made of a new washable urethane which needs no oil or special cleaners. These breathers or vent filters can be used on kart catch tanks, late model rear end housings or any vented component. We are currently stocking a 5/16" ID breather. However other sizes are available up to 1" ID. 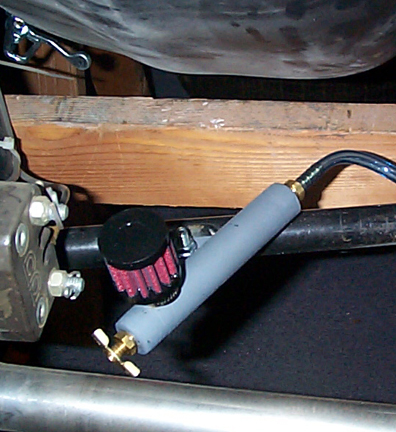 Breather installed on kart catch tank.